The little known glass company of Liberty Works came into existence in 1903 when it was established in Egg Harbor, New Jersey as Liberty Cut Glass Works. 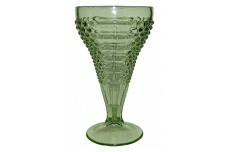 Liberty cut and decorated fine glassware on blanks which they obtained from overseas sources. Often this glassware was sent back to Europe after being decorated. As the company expanded and Liberty became better known, the company reorganized and became Liberty Works. 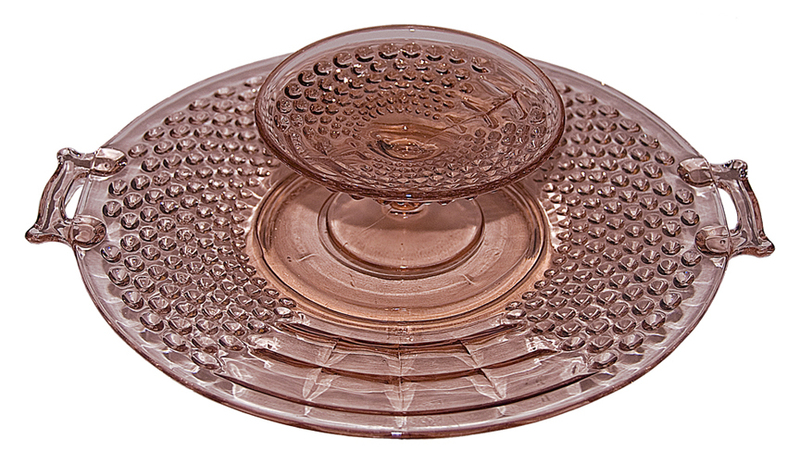 This change came right around the Depression so Liberty Works became a serious contender marketing the machine made mass produced glassware that collectors have now dubbed "Depression Glass." Liberty Works made many patterned sets which contained specialty items such as egg cups, batter pitchers, and syrups. 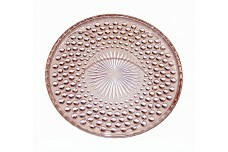 They are most known for the Depression Glass pattern "American Pioneer." 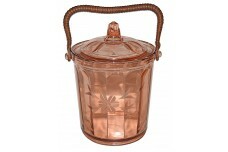 Liberty was very successful and could have been a one of the major contributors to American glassware, if the plant had not burned in 1932. The company never recovered from this disaster. The Information for this brief history came from the book "Colored Glassware of the Depression Era 2" by Hazel Marie Weatherman. This book is an excellent source of information about early American made glassware. Everyone interested in collecting glass from this time period should own this book.